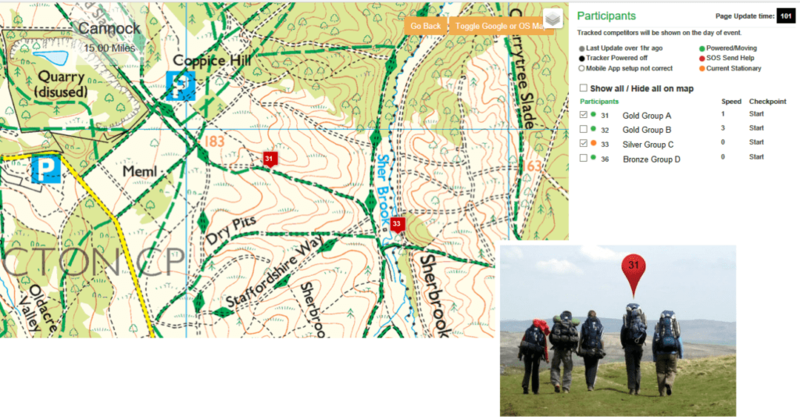 Looking for GPS tracking for Duke of Edinburgh expeditions? Setup in 2009, our company provides mini GPS tracker devices for use on Duke of Edinburgh expeditions, Scouting expeditions and all kinds of events. We also organise events and challenges. We are Duke of Edinburgh Awards trainers and also assess (to Gold), so understand your needs. Our GPS Trackers for use on Duke of Edinburgh expeditions can be hired or purchased, and are more affordable than any of our competitors. The trackers and our tracking website are technically advanced. As well as working in the UK, our next-generation trackers work virtually anywhere all over the World. If your expedition is somewhere really remote, then we also stock Garmin In-Reach Iridium devices which are two-way satellite communication trackers, that allow you to send messages back and forth as well as be tracked anywhere on the planet, including at sea. They also have in-built maps, and can be used a satellite navigation devices if required. We have provided Scout GPS tracking to groups all over the UK. We have sent trackers for Duke of Edinburgh expedition use to Spain, and the Alps. We have tracked expeditions to New Zealand, the USA, and even to the summit Kilimanjaro, to name but a few examples. Our GPS tracking devices are small and lightweight but have a powerful battery that will provide position updates for up to a week or more from a single charge. Click here to hire your expedition trackers now! We hire and sell GPS trackers for expeditions and events. We are not affiliated with Duke of Edinburgh Awards.